At the age of 28, former Business Analyst and Management Consultant at KPMG Nigeria Oluwaseun Runsewe has become the youngest Chief Executive Officer of a banking institution in Africa through the launch of her entrepreneurial fin tech venture by the name of Switch. 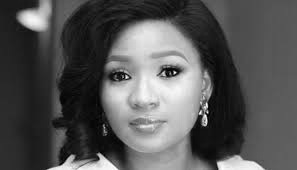 Runsewe holds a bachelors degree in Business Administration and Management from the Covenant University and began her professional career at global professional services firm KPMG in its Lagos office. She began as a Business Analyst in the firm’s Management Consulting division, following which she was briefly a Project Coordinator. After a year at KPMG, Runsewe moved to payment solutions firm Paystack, where she spent nearly two years and worked as the Business Lead. Leveraging this knowledge and expertise in the field of financial transactions, Runsewe has now launched a fin tech solution designed specifically for the Nigerian middle class. A report from KPMG in 2017 revealed that despite being financially active and eligible, a number of Nigerians remain reluctant to conduct financial activity online. The Nigerian middle class is active on social media platforms and use the internet regularly, but not for banking activity. Runsewe’s solution – Switch – is aimed at easing some of the challenges that middle class Nigerians face in their financial activity, particularly with respect to inefficient systems and processes. Nigeria’s banking sector struggles with malpractice, and the population has rapidly lost trust in the system. Switch allows for customers across the country to hold a number of savings accounts on the application, which allow for a variety of currencies. As a result the application makes possible a number of lending, borrowing, investment and insurance activity in a quick and efficient setting.